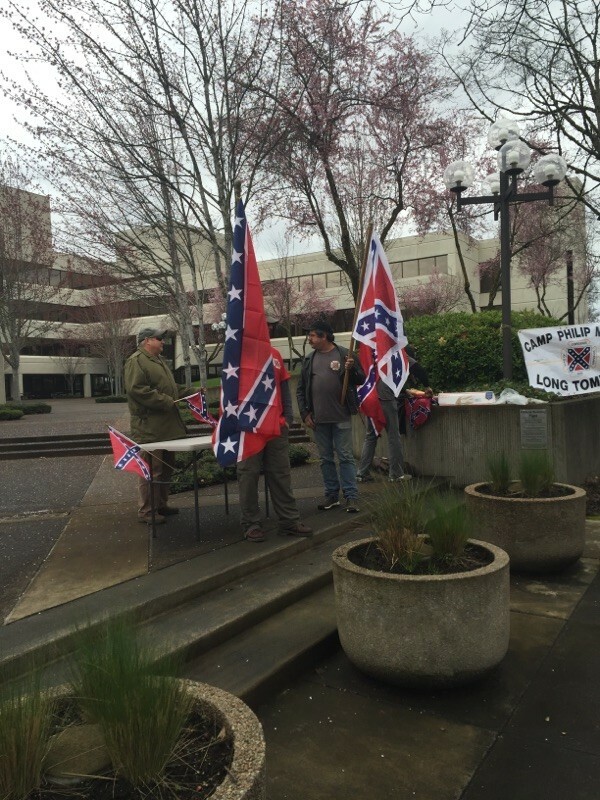 SCV Pacific NW Division had two different Rallies on March 5th, 2016. 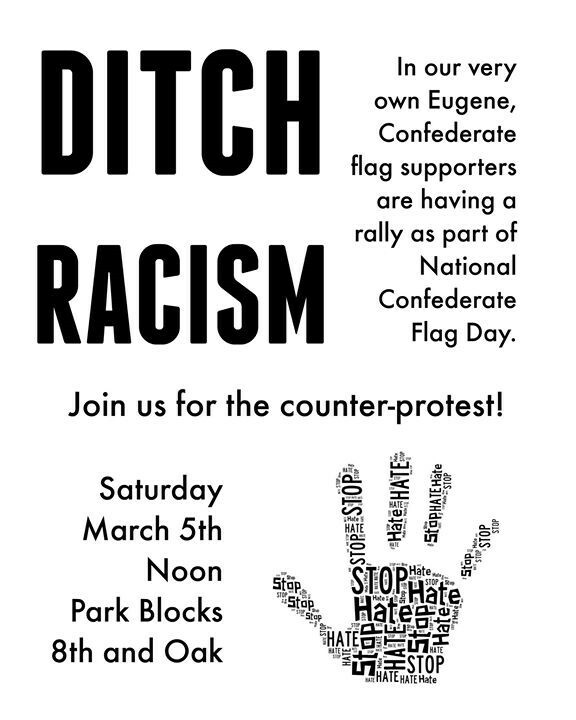 SCV Camp 458 owned Jefferson Davis Park, in Ridgefield, Washington, was one of the sites chosen for March 5th’s Confederate Flag Day Rallies. Members from SCV Camp 458 SCV Camp 2178, plus several guests, all participated in the Flag Rally. We received overwhelming support from passers by and made our presence known. We had local news channel KPTV 12 show up towards the end of the rally. There were only a few of us left at that point, but I did an interview with the reporter. We will be having more Rallies at the park throughout the coming year. If you would like to participate, please send us a message. The newly formed Camp 2273 of Eugene, Oregon, held their rally in the heart of downt0wn Eugene. There was a very large organized counter protest against the Confederate Flag Day rally. The Eugene Camp originally let everyone know it was going to be at noon, but decided to throw off the protestors by doing it from 9am til 11am. The protestors were just starting to arrive when the Camp was just getting ready to wrap things up. The protestors were really thrown off by this and the Eugene SCV boys became local legends. There were people saying they saw them in numerous different locations, and came up with wild stories to tell about them. I have nicknamed Camp 2273 the Special Forces Camp. Great job brothers! This entry was posted in Uncategorized on March 13, 2016 by scvpacnw. 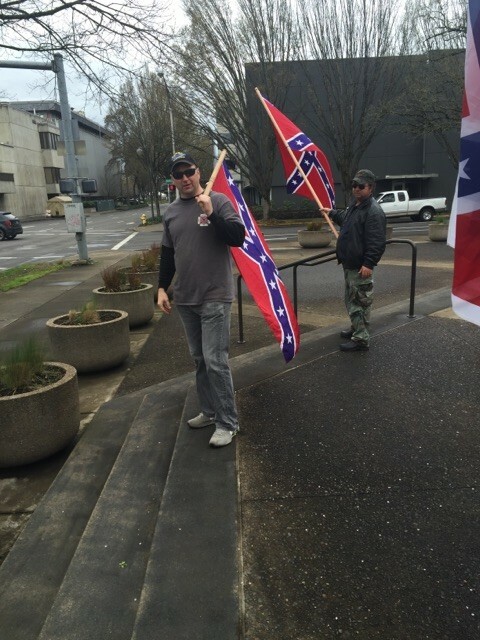 Eugene Oregon Confederate Flag Day Rally. 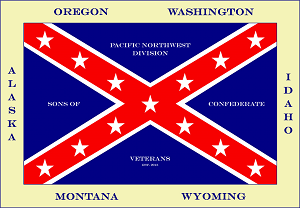 Eugene, Oregon is known for politically correct hippies, but did you know the Eugene had voted to succeed from the Union during the Civil War? For our National Confederate Day rally, the Long Tommers replanted the battle flag for the first time in here in over 150 years. 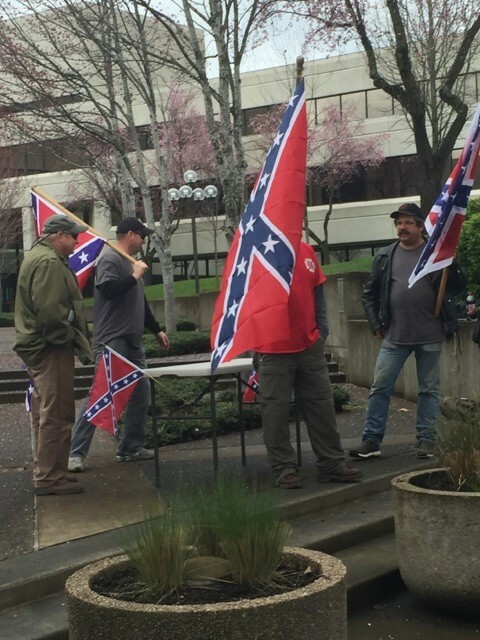 SCV Camp 2273 rallied at the Federal building area, while counter protesters, to include Civil Alliance of Lane County, Black Lives Matter and Cascadia Anonymous held their event a few blocks away at the “Free Speech Plaza”. Our rally concluded without any major incidents and the majority of all vehicle and foot traffic supported our cause with many hand waves and thumbs up. A few of the notable people we met that day included an eccentric self-proclaimed “monk” and “undercover” liberals. KVAL news gave refreshingly objective interview with our camp and gave us fair coverage in the media. Our camp had just recently received its chapter designation and our first rally was a complete success. 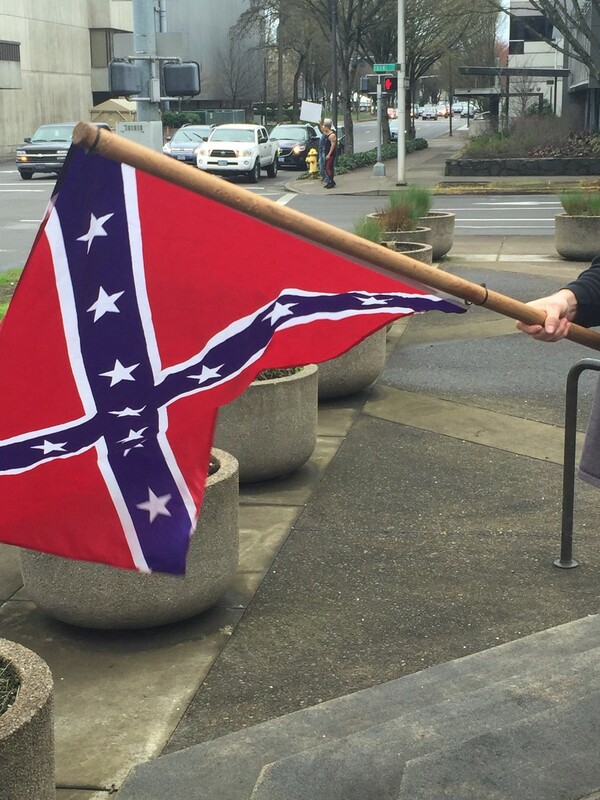 If you can display Southern heritage in Eugene, you can do it anywhere.